Looking for a scare this Halloween? 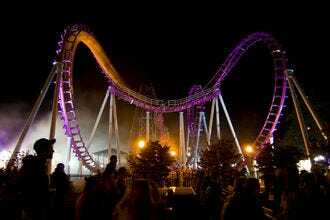 Head to the nearest amusement park! 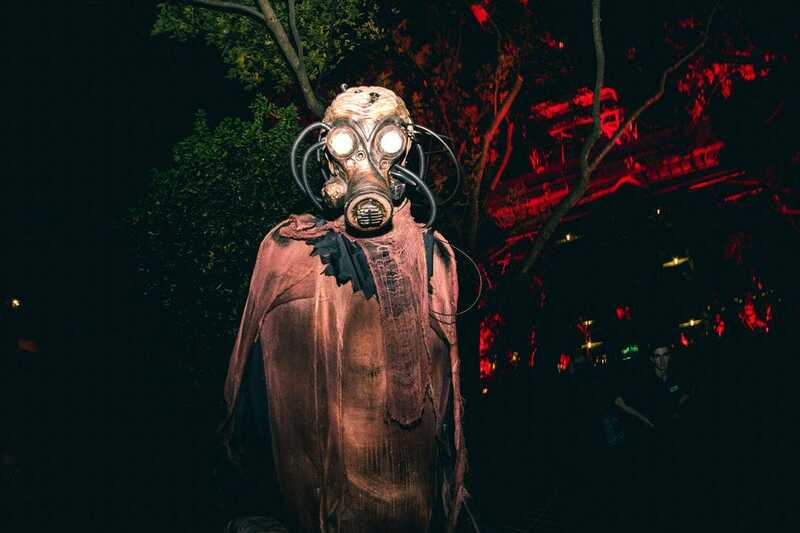 Theme parks across the country are hosting ghastly, ghoulish events to celebrate the season, and you're invited. We asked a panel of theme park experts to pick their favorite Halloween events, and for the past four weeks, our readers have been voting daily for their favorites. 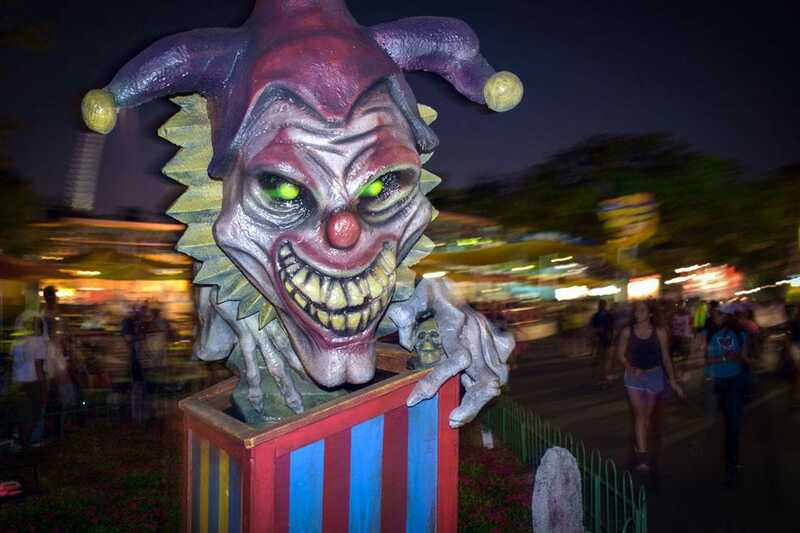 Seventeen nights of horrifying mazes, roaming zombies and spooky shows await thrill seekers at this famed California theme park – threats so terrifying, in fact, you may just opt for the relative “calm” of riding the world-class roller coasters in the dark instead! Looney Tunes characters and holiday crafts delight wee ones by day, but all bets are off at night when cannibals, ghostly circus performers, man-eating plants and more darken every turn. A host of haunts are on tap at this Virginia favorite, where dangers lurk in the eerie woods just off the Blue Ridge Parkway and the ghosts of criminally insane inmates are looking to satisfy their eternal bloodlust – though “Skareoke” at the Annex at Club Blood could prove the most frightening entertainment of all! Live shows, mazes and more are in store and each year the mayhem spreads like a Halloween virus. 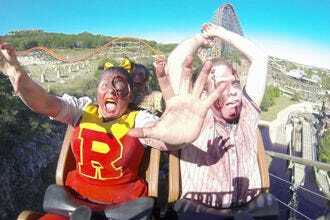 Kings Dominion’s fierce fans are most definitely infected. The glitz and glamour of legendary Las Vegas morphs into murder and mayhem inside the fearsome Fright Dome, consistently ranked among the top Halloween attractions in the nation. 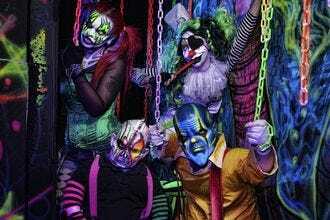 Each year, this unique, indoor fear festival transforms the Circus Circus Adventuredome into a horror-lover’s playground; multiple houses and scare zones, 25 rides and attractions and live shows that bleed entertainment.... Literally. Think you can survive the murderous clutches of the Insanitarium or the murderous animals of the Slaughterhouse? Only time will tell. 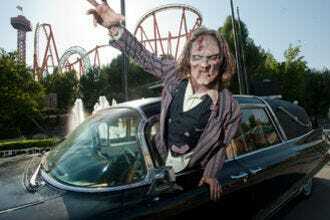 Carowinds Theme Park turns into a scream park with 16 haunted attractions and shows and 500 monsters waiting to thrill and chill. 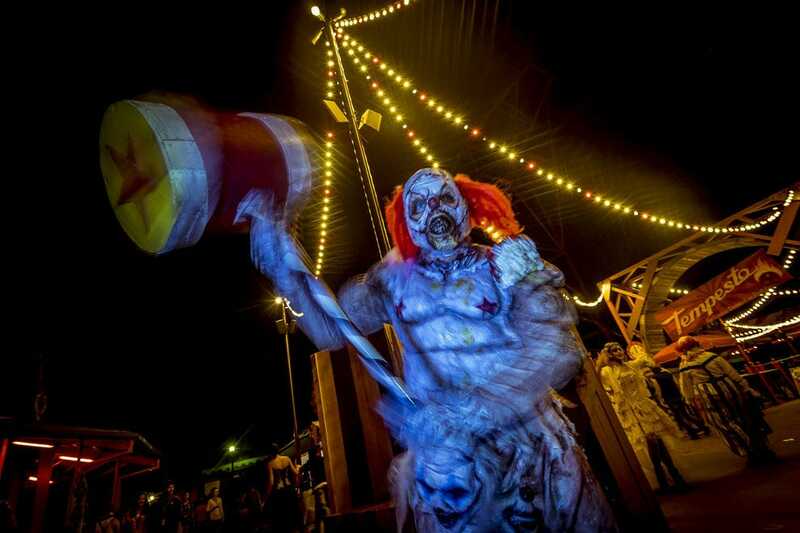 Visitors to this year's event can walk the haunted Fleet Street, gather round for a berserk circus, revisit the horror classics of the '50s and '60s at Silver Scream Studios or swing by The Playground. For 16 years running, Phantom Fright Nights has been luring Kennywood fans back for Halloween-themed thrills they can’t get any other time of year as their favorite attractions go Jekyll-Hyde, transforming into dark, fearsome alter egos well suited for the holiday. Raging Rapids, for example, is drained to become Voodoo Bayou, a devastatingly dangerous attraction for those brave enough to enter. Also on tap: BioFear, Mortem Manor, Villa of the Vampires and more. Don’t come alone. 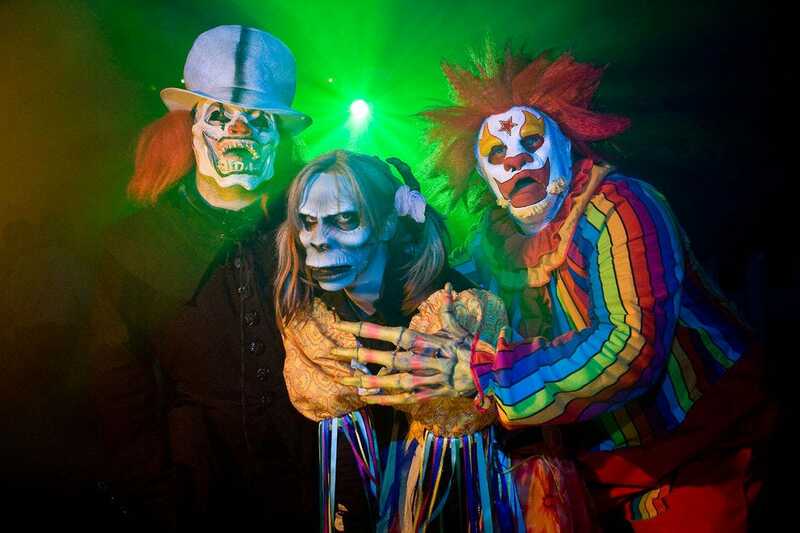 At the Six Flags Over Texas version of Fright Fest, visitors get spooked at scare zones and haunted houses like Zombie Infestation, Cirkus Berzerkus, Voodoo Swamp, Black Widow's Walk and Blackout (the last two are new this year). Each weekend starting September 29, visitors to Lake Compounce will be entering The Haunted Graveyard, a mile-long nightmare journey featuring dark catacombs, a vampire's lair and an ancient temple hiding dark secrets. Busch Gardens Williamsburg’s outdoor Terror-tories scare zones during Howl-O-Scream are fraught with fearsome frights. 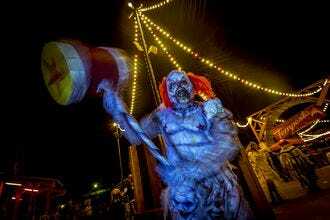 Creepy catacombs, sinister circus, terrifying corn maze and abandoned logging camp set the scene for serious scares. Cedar Point rolls out the orange carpet for kids and grown-ups come Halloween time. When the sun goes down, its cheery exterior morphs into the stuff that haunts your dreams. Previous years have featured chemical-created mutants, mortuary miscreants, eerie Egyptian ghouls and proof that lycanthropes live among us. Bring the wee ones during the day for a family-friendly affair that’s trick-or-treat’tacular. 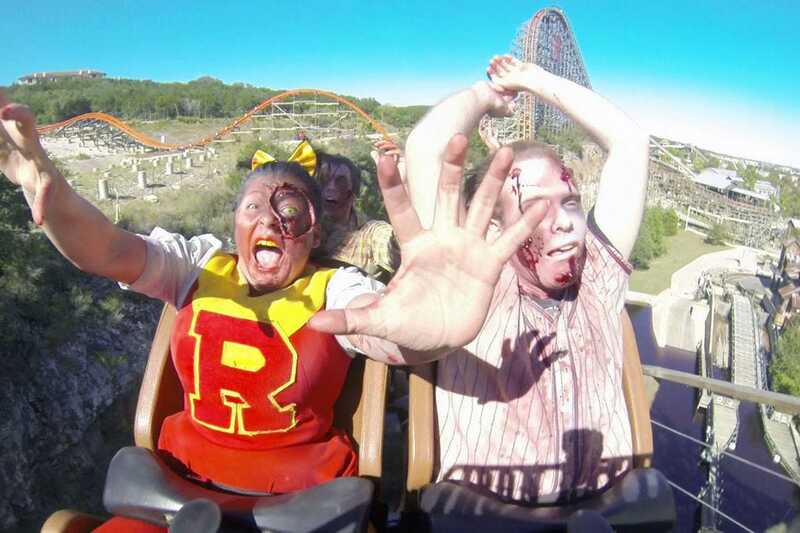 On select nights between September 15 and October 31, zombies and ghouls take over Six Flags Fiesta Texas during Fright Fest. After sundown, guests enjoy several scare zones and haunted houses, including two new attractions in 2017, Blood Bayou and CarnEvil 3D. Fright Fest at Six Flags Magic Mountain - Valencia, Calif.
Halloween Haunt at Kings Dominion - Doswell, Va.
Phantom Fright Nights at Kennywood - West Mifflin, Penn. The Haunted Graveyard at Lake Compounce - Bristol, Conn.
Howl-O-Scream at Busch Gardens Williamsburg - Williamsburg, Va.
A panel of experts partnered with 10Best editors to picked the initial 20 nominees, and the top 10 winners were determined by popular vote. Experts Lance Hart (Screamscape.com), Arthur Levine (Theme Parks Expert) and A.D. Thompson were chosen based on their knowledge and experience of the American theme park landscape. Congratulations to all these winning events. As Halloween approaches, remember to keep this list handy. 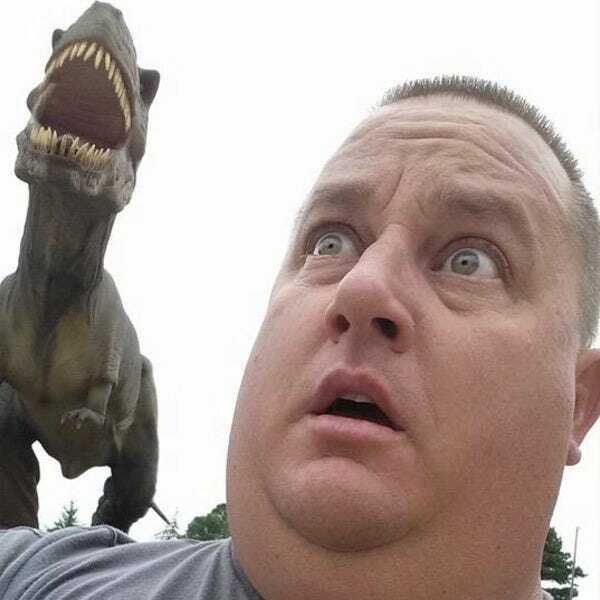 Born and raised in San Diego under the shadow of the SeaWorld Skytower, Screamscape.com founder Lance Hart became obsessed with theme parks at a young age. He traveled around much of the country in search of the best and newest thrills, and even lived in Orlando for a time to be closer to the theme parks. Now based in North Carolina, he seeks out and reports themed entertainment news from around the world to create the ultimate theme park news site. One ride on a carousel, and Arthur Levine was hooked for life. Now an avowed park-aholic, he's been able to turn his passion into his profession. 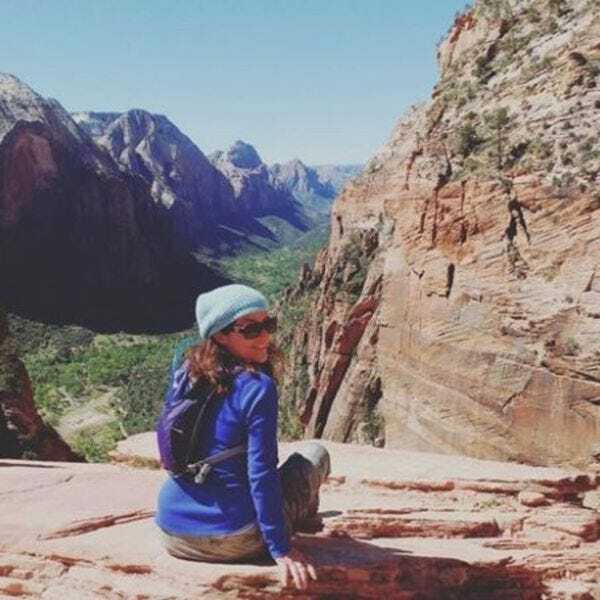 A travel writer who specializes in the amusement industry, Levine has been the Theme Parks Expert at About.com since 2002. 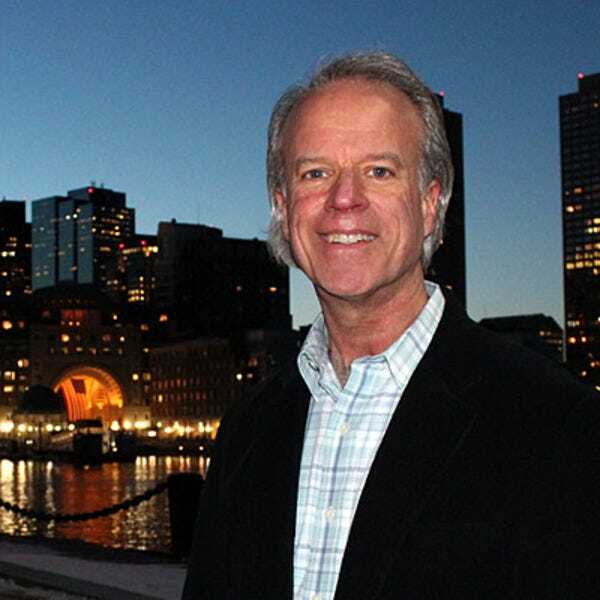 He also writes about parks regularly for USA Today and writes features for other publications such as Consumers Digest, the Denver Post, the Boston Herald, and the Columbus Dispatch. He is frequently cited in national media and is a featured speaker for industry organizations such as Walt Disney Imagineering.